This afternoon we’re closing another loan we rescued from previous disaster with not one, but two other mortgage companies. This morning, we’re continuing to process the “rescued” loan from two nights ago. Last night I spoke with yet another Realtor down and out because he had a purchase transaction dragging on and on into oblivion with no hope of ever closing. The Seller’s attorney advised him yesterday that today, Friday August 29th was the absolute last day to get an approval. I pointed my finger at him and admonished him not to every say such a thing while I was around. Told him to get the file ready and show it to me today at 1pm when I return to his office. Turns out I also know the Seller’s attorney and I’m certain that, after reviewing the file and determining if I can get it approved and closed, that one phone call to that attorney will provide us with the time we need to finally get it done right. Rescue, rescue, rescue. I encounter so many of these situations, whether it’s for folks trying to refinance their homes or families trying to purchase their first homes. Many times I have to say, “No, this is truly not possible. There is no way to make this loan work.” But my “No” comes in a few minutes, or, at the most 24 hours. The losers keep wasting everyone’s time as if some magic wand is going to fall out of the sky, hit them in the head and provide a miracle cure for the loan in question. Days turn into weeks as everyone waits for the mortgage loser to come up with a solution, approve the loan and close it. And the losers are not just mortgage brokers, they are mortgage bankers and loan officers of regular banks, too. This is the fallout of the mortgage meltdown of 2007. Too many losers still populate the mortgage industry, wasting the time of hopeful homebuyers, serious sellers, and realistic Realtors. 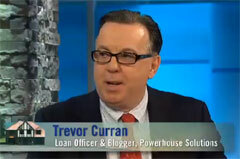 Message to mortgage losers: GET OUT OF MY BUSINESS!!! For those of you industrious readers, working honestly every day in your field, let me wish you a peaceful Labor Day weekend! If you wish to comment on this post, please submit your comment for moderation. Thanks for visiting!